Today has been a great day. Race 6 of my 12 5k runs in 2016 and it was a belter. We ran the Alister Brownlee 5k Riverside Run and it was amazing. The last couple of weeks since my last run have been so difficult. The Monkey House has been overwhelmed with illness, and we’ve been sleep deprived with coughing, teething and trips to A&E. A cold half term with caged monkeys has made life stressed. (We didn’t actually put the monkeys in a cage, I’m talking metaphorically). Motivation was low and had I not had this run in my Calendar I may have given in. It really pays to have goals sometimes. Being the daughter of a Middlesbrough fan, the route of today’s run was not unfamiliar to me and my sister. Brought up outside of Teesside, but with many family members still living here, we were regularly taken to matches and other landmarks. The Transporter bridge was well known to us growing up. In fact my dad and I once abseiled off the top for charity. It is a stunning landmark. The route started outside the East stand of the Riverside stadium where we were a little harassed by a crocodile and a bear raising money for Zoe’s Place (see pictures below). Not in a sinister way, thankfully. Once we had set off, the route took the runners around the Middlesbrough College buildings to the Transporter Bridge. The route overlapped in two areas. The first being at the 1k/3k mark. It was a little intimidating to see the front runners at 3k just as we approached the 1k mark. We later discovered that the winners had come in under 15 minutes. Very impressive. I’ll be honest and say that speed was not my ambition today. I felt strong on the back of my recent turn in motivation. The sun was shining and, the older monkeys had slept out at nanna’s last night. I had therefore had a full night’s sleep. I therefore, felt amazing. Not the angry zombie of recent days. It was great to be out and my sister and I were well overdue a 5k natter. The route took us back towards the Middlesbrough college buildings and wound onwards to the Riverside stadium. The final kilometre took place immediately outside the stadium and finished within the stadium itself. Running in through the gate and straight on to the pitch was uplifting. The noise, of a moderate crowd, was inspiring. A wonderful goal to aim for on a truely amazing day. As we lapped the pitch we caught sight of Mr LMR, the in laws and the monkeys cheering us in. Grabbing a quick high five on the way past I felt proud to be giving them this experience. 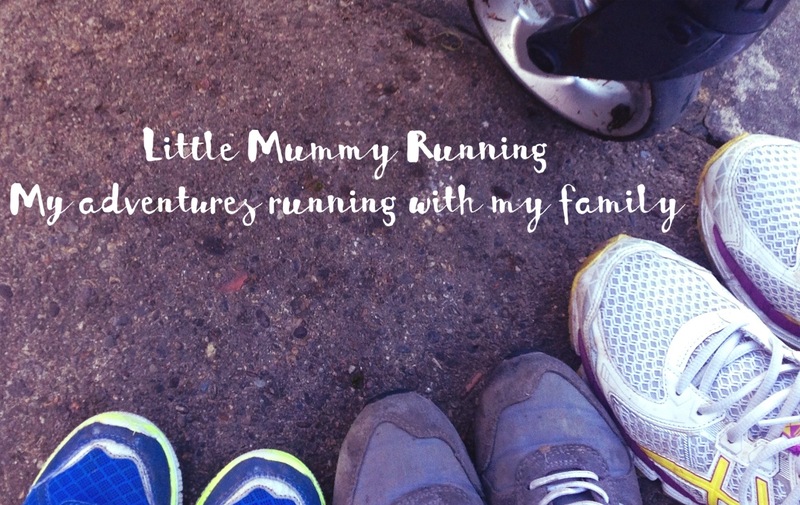 A great foundation for them to see their mummy looking after herself and staying healthy. I cannot recommend this race enough. One of the things that made this race today special, was that it was run in honour of Alistair Brownlee. A local legend who died in February this year. His family started the race and his daughter ran with the rest of us. In fact, having just watched the local news, I realised we had run close to her during the race. The spirit felt within the race was electric. One of the greatest things about running, are times like these. Times when members of a community can come together to celebrate someone’s life through a common goal. A focus to channel your energies towards, to keep you going no matter what the circumstance. If you were heading out on a long journey you would always confirm your destination before you set off. Otherwise you would not know where you are going. If your journey is going to be long and difficult, you might break your route into smaller sections. Taking a break after each section. Consequently, goal setting for personal reasons is just like this. If you want to achieve something, however big or small, we often become overwhelmed by the enormity of the task ahead. We begin to give in to negative thoughts and allow our minds to take over. Frustrating though it may be at times, taking your journey one goal at a time can be hugely rewarding. Each goal achieved is a step forward and a reward for our confidence. Over time you can travel great distances and achieve great things. My recent decision to start the Runners World Run Streak (#RWRunStreak) was my way of setting smaller goals to motivate myself out of my rut. One mile a day. As quickly or as slowly as I felt comfortable. I can safely conclude that it has worked. Just stepping outdoors, alone, for 20 minutes has helped me cope better with all half term has thrown at me. I mean, call social services, we only took our monkeys to an interactive exhibition about children’s television. Who knew it would cause so much outrage amongst them? We should be thrown in jail! My 2016 challenges were also intended to be small goals to get me through this first year. However, I knew that I would be riding the post baby roller coaster again after BM arrived. When I set these challenges it was to help raise funds for Raindrops to Rainbows and get fit again. Mainly, though, it was to keep me motivated to keep trying and improving. On the days that I am low, I am hugely grateful that these races are set out ahead of me, reminding me to keep getting up and out. My advice, if you know you are struggling, or you think you are going to struggle, set yourself a small achievable goal. Make it something you can achieve. Know your destination, but put that to the back of your mind. Concentrate on the first small step. Finally, enjoy the feeling of achieving the first goal. Then move on to the next. Soon you will have achieved a number of steps and be moving forward. You can apply this logic to anything from running a distance to finding the energy to get out of bed and get dressed. I often apply it to tidying the house after the monkeys have run amok. I break the task into smaller sections. 1) Put all of the food back in the fridge; 2) put the dishes near the dishwasher; 3) put the toys back in the boxes; and so on and so on. Every step brings a visual improvement, motivating you to continue. Let’s be honest, the monkeys can often create a situation that will make you want to climb back into bed and never get back out again. You are strong enough to take it on, however, just a little at a time. In conclusion then I advocate setting a target today. Make it public, if you can, and put your energy and focus into achieving that small step. Then finally, sit back and be proud. I am now six months into my runs and this is me. While I keep focussing on putting one foot in front of the other and adding a little bounce, then we’re running. As a result, slowly and steadily scoring my goals. Finally, what is the next Goal? It is the Durham City 5k Race For Life, which will be run on our old school field. Now that’s going to be a journey down memory lane.